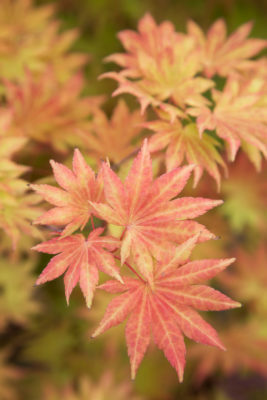 There are a whole host of plants that give colour throughout autumn. Here are some of our favourites, bursting with bright reds, warm golds, mauves and soft pinks that look striking against seasonal greens to provide a spectacular display from autumn into the winter months! 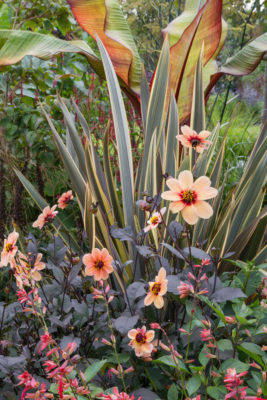 For bold colours and autumn foliage add perennials like Salvia, Aster, Dahlia, Musa, Heuchera and Achillea. 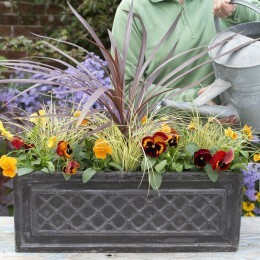 For height add in Phormium, or ornamental grasses (Panicum, Miscanthus or Calamagrostis) for luminosity, shape & texture. Top Tip: Add bark to your borders to help retain moisture, surpress weeds and provide frost protection during the winter. 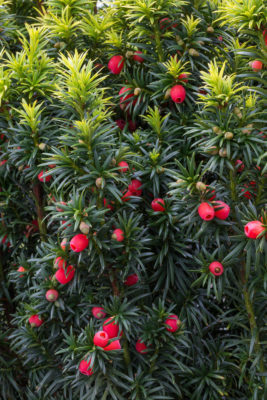 Ideal shrubs to consider include Euonymus, Hebe, Skimmia, Choisya and Cupressus ‘Wilma Goldcrest’. 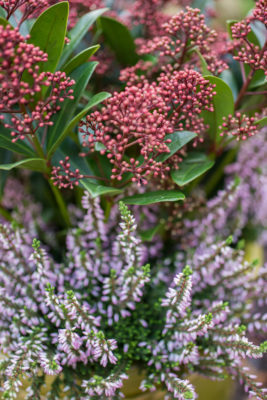 Or add autumn and winter flowering heathers (Calluna vulgaris and Erica x darleyensis). 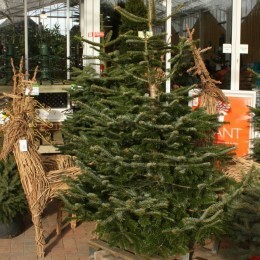 Trees will also add contrast to your garden. 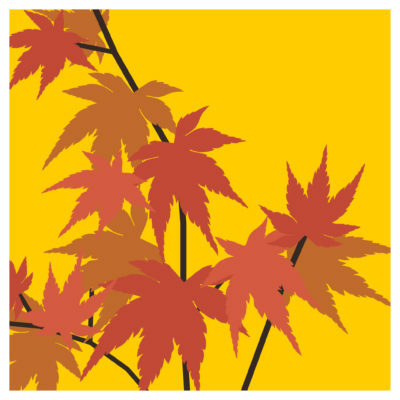 Acers make excellent focal points in the shadier part of your garden, particularly in autumn when their leaves turn breath taking shades of red, crimson, orange or yellow. 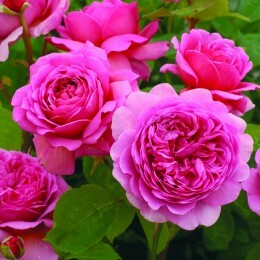 Any shrub or tree that produces berries or seeds is an excellent choice for bringing colour! Most berries begin to form in early autumn and are perfect for encouraging wildlife and particularly birds that need to build up their fat reserves for the coming winter. 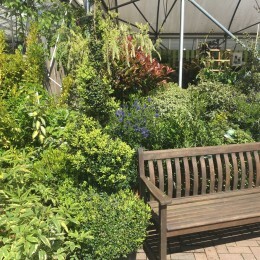 Excellent choices include Cotoneaster, Ilex (Holly), Pyracantha, Sorbus (Mountain Ash), Malus (Crab Apple), Yew, Gaultheria, Ivy and Mahonia. 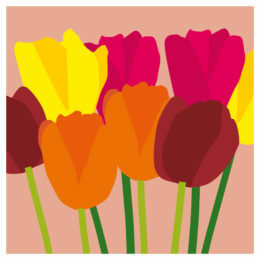 Top tip: Autumn is perfect time to plant Spring Bulbs. 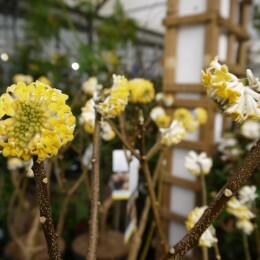 Pick up our Plant now for Spring Colour leaflet in-store.